Successfully Added ESCAM Q6 WiFi Camera - 720p HD Video, 62-Degree Lens, CMOS Sensor, IR-Cut, Night Vision, Motion Detection, TF Card Support to your Shopping Cart. 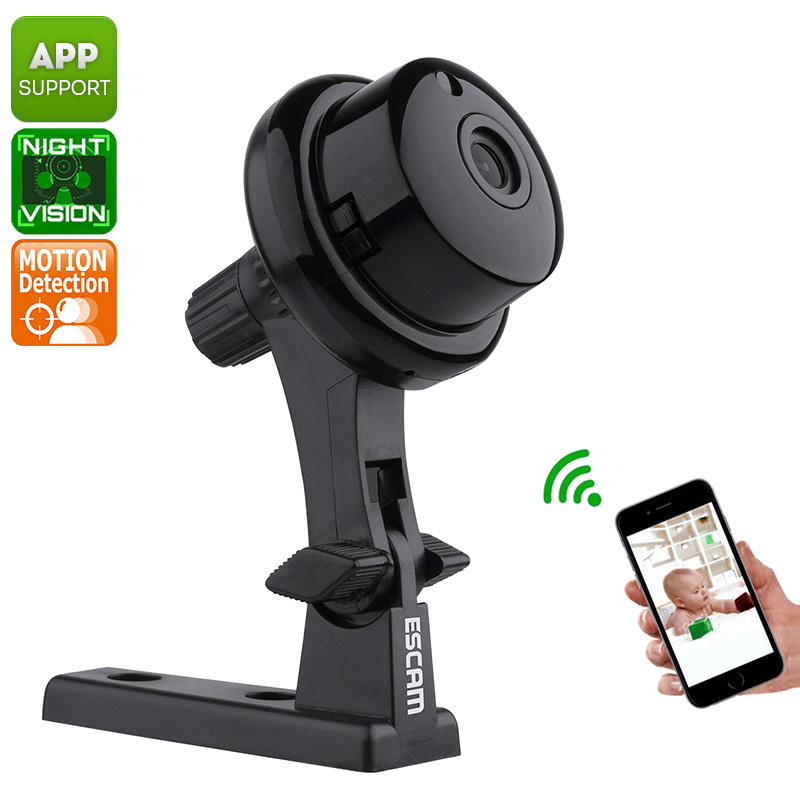 The ESCAM Q6 is a compact WiFi camera that offers great solutions for indoor security. This mini IP camera can be easily placed anywhere in your household. Once in place, it treats you to crisp 720p security footage. Via the dedicated mobile Application, your camera can be accessed at all times. This allows you to keep track of what’s happening at your home or office even when you’re not around. Thanks to its 10-meter night vision support, you can be guaranteed that your property will be protected on both day and night. This mini indoor security camera features a 1MP 1/4-Inch CMOS sensor. It furthermore comes with a 62-degree viewing angle, thus guaranteeing that not a single movement stays uncaptured. With its motion detection and alarm features, this security camera makes sure that you’ll always stay informed on the latest security status of your property. The IP camera furthermore comes with a built-in microphone and supports Dual-Way audio communication. With its 128GB SD card support, it lets you keep all your security footage without needing to worry about storage space.